Welcome to Day 4 of 24 Days of Mom Envy Freebies! 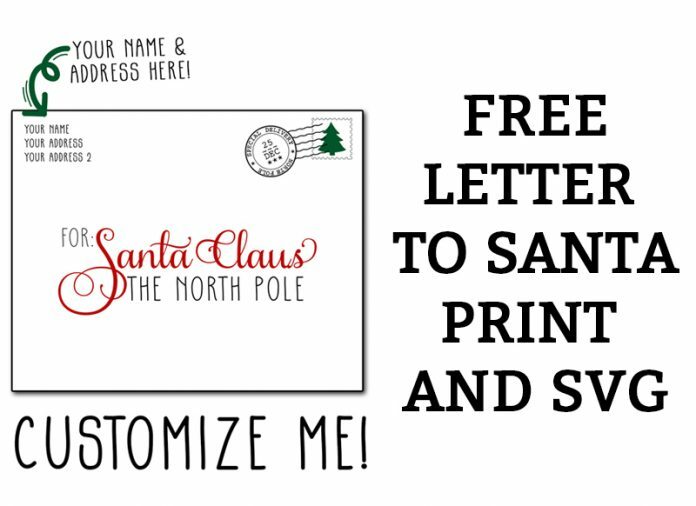 Today I am sharing another free letter to Santa SVG or customizable print. The best part about both of these files is that you can customize them to meet your own needs. 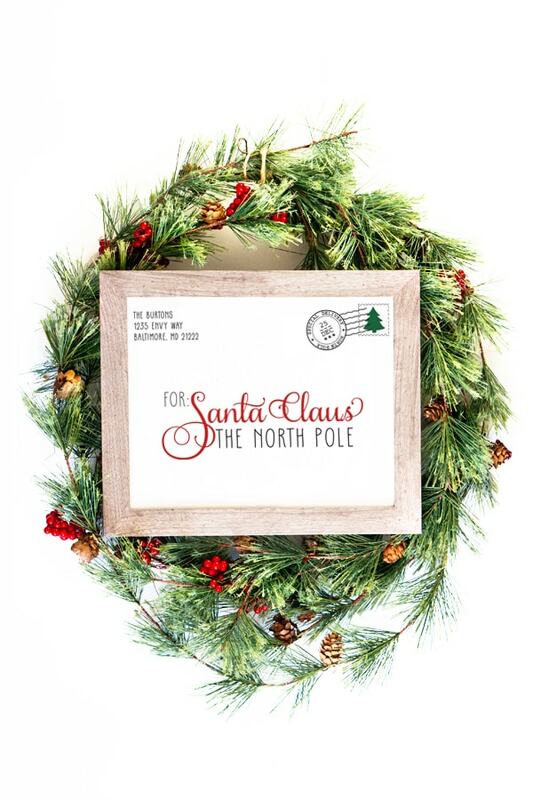 Letter for Santa signs have become super popular in crafting groups. 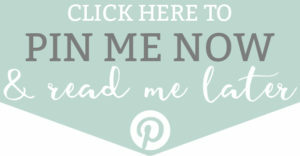 They are simple adorable and they make such a great gift for friends and family. Don’t have a craft cutting machine? No problem! 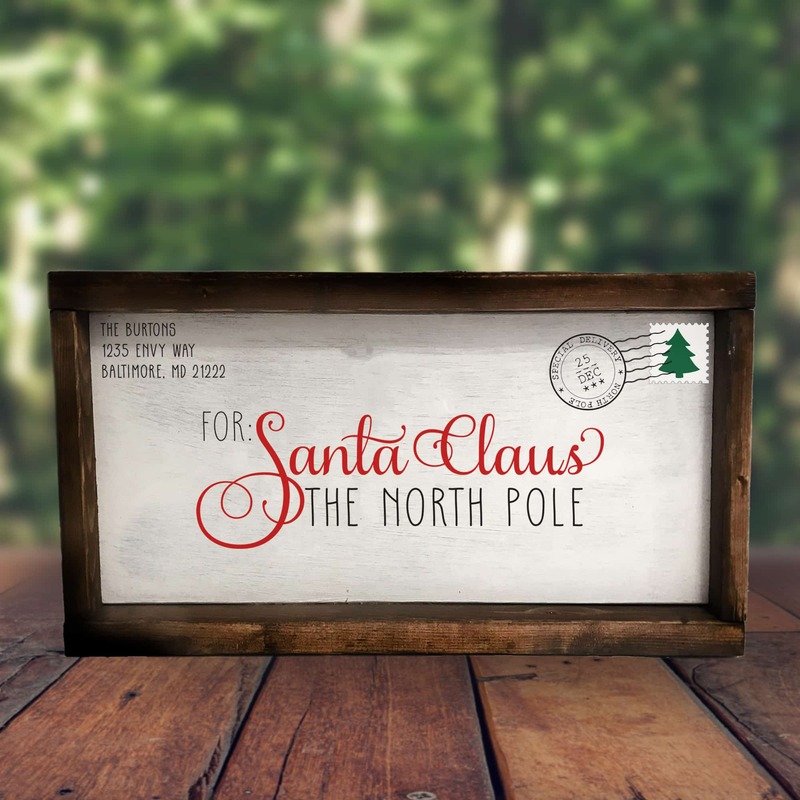 You can customize the sign and print it to place in a picture frame. In fact, I don’t have the ability to paint large signs right now (due to weather and our living situation), so I did exactly this for mine (see below)! (I purchased my frame at Michaels but this frame from Amazon would be perfect). Download the file below. The file is the only PDF file in the group. Open file in Adobe Acrobat. (it’s free and needed to customize. Other PDF programs will not work). 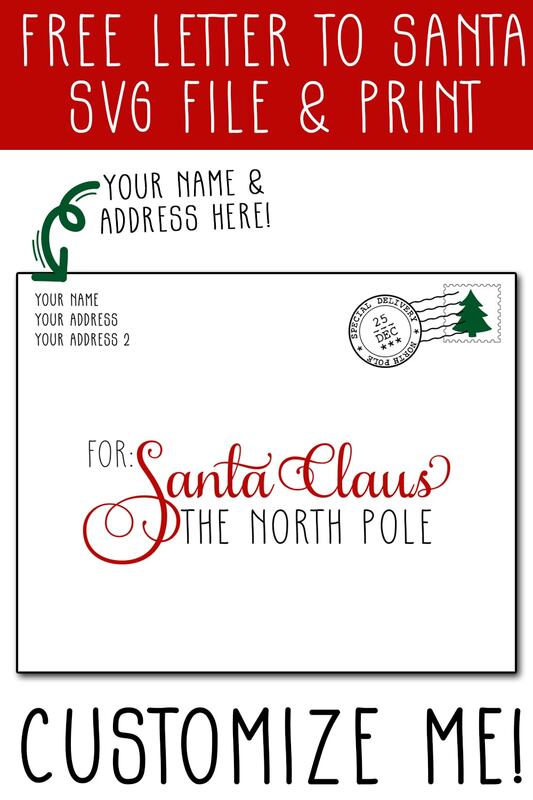 Edit the return address label with your own information. Print in ACTUAL SIZE ( 8 x 10). I am an affiliate for Font Bundles, but this font is free. Download the font, Hitman from Font Bundles. Install it. Change the address to your address. Cut each layer of vinyl out by color. Paint on the white stamp layer first. Paint on the green layer next. Then paint on the black layer. Paint the red layer at any time (the layer doesn’t overlap). 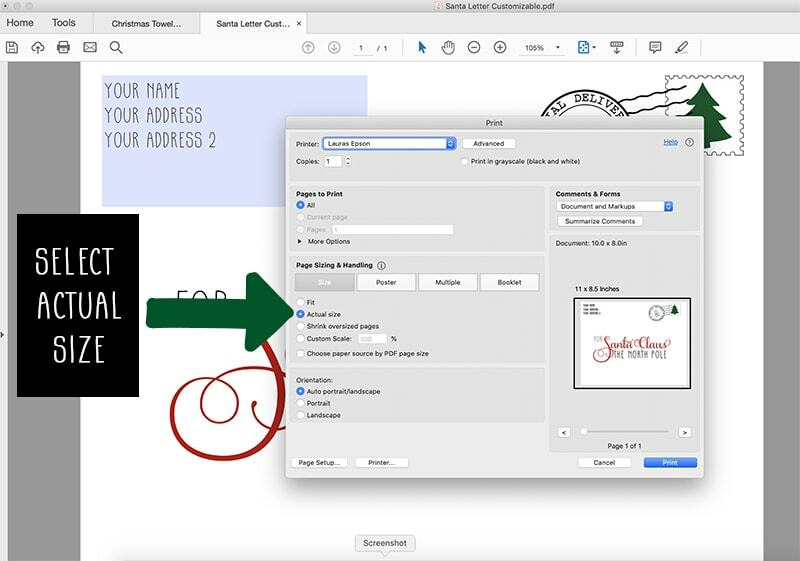 Open the SVG file in your cutting machine. Type your address in the top left corner of the file in black using the font, Hitman.